Home / Uncategorised / Rept Open Day Wrap! 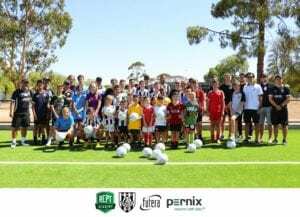 Rept Academy held their official Open Day at Adelaide City Park on Sunday where a great turnout of young aspiring footballers, male and female, had the opportunity to experience some of what the academy will offer in 2019. The group gained some valuable insights from Academy Director Adriano Pellegrino and his highly skilled coaching staff ahead of Term 1 beginning on February 25th. The Academy aims to equip them not only with Coaching, but the mentality and attitude to become a professional footballer. The guiding philosophy and core values are aligned with those of Adelaide City FC in that Attitude, Desire and Technical ability are key elements in a holistic approach to create a complete player. Pellegrino was pleased with the turnout and said the link with Adelaide City Football Club has taken the Academy to new heights. “Planning Rept Academy has been a long time coming, almost two years, and now we are very fortunate to be linked with Adelaide City. “We had a great turnout with lots of young, passionate footballers both from inside the club and out, which are very good signs. “We received some great feedback and it was good to have some of the senior women and men’s players come along with their coaches to introduce themselves to the young players. “It’s very important for the young players to have mentors and look up to other footballers, whether it be in the NPL, A-League or Leo Messi, they should have idols to aspire to be like. “And I believe that the best mentors are ones you get to interact with in person and we want to give that to the kids. “It’s all about being hands on and the more hours of football that they’re putting in, the better and that is what Rept Academy offers. 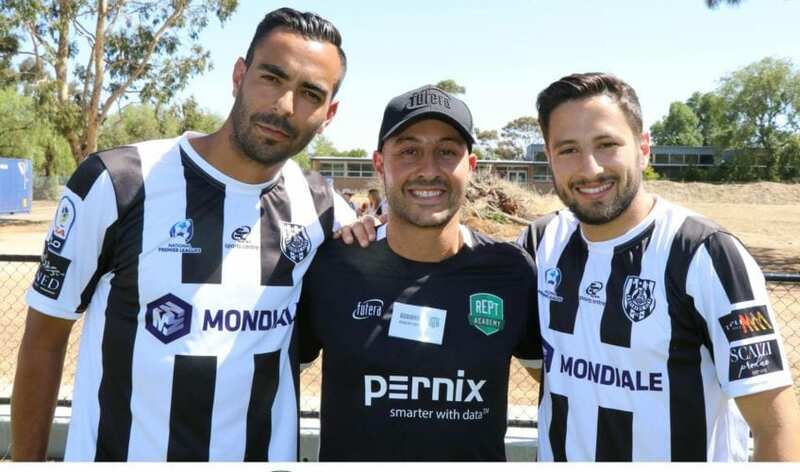 Adelaide City’s Head Junior Technical Director Rick Cerracchio emphasised the importance of the Academy and youth development, as well as Adelaide City’s dedication to developing young footballers. “The best thing about it is that training is set up on alternate nights for the juniors, so on top of their regular three nights, they are provided with an option to take on an extra night with the specialists of the Academy. “A lot of their team training environment, albeit some small areas of individual development, it is designed more for a team environment and specialist Academies refine their skills and gives them the opportunity to focus on the finer details of their game. “More contact hours are always going to be beneficial for our players, and that’s where we have started to fall behind in Australia, at the ages of 12, whereas in Europe, they’re training around 4-5 times a week. Rick Petropoulos, City’s Head of Tournament and School Holiday Clinics believes that having everything under the same umbrella will only take Adelaide City and players around South Australia forward. “It is a great stepping stone and it is great that we are all under the same umbrella as one family. “You can see how well the Open Day for Rept Academy went and the growth, and it will only continue to get better. Goalkeeper coach, Zak Belanic, noted and gave insight to the high importance of a goalkeeper’s role within the world game. “I think the importance of goalkeepers and their training is huge, and it is very much a lonely position and one is that is fairly specialised. “My objective is making sure the ‘keepers come out improved with more self-confidence and better human beings also, because it can be a hard position especially when things aren’t going too well throughout a game. “It is all about training the mindset, especially when things don’t go well, I believe in releasing and moving forward, refocusing and then starting over, and it is all about learning. 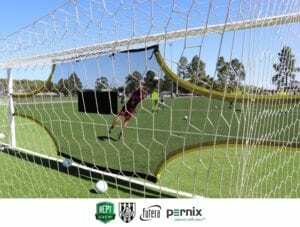 There are still spots available for Term 1 of the Academy but spots are filling fast, head to www.reptfootballcompany.com/register today to indicate your interest!